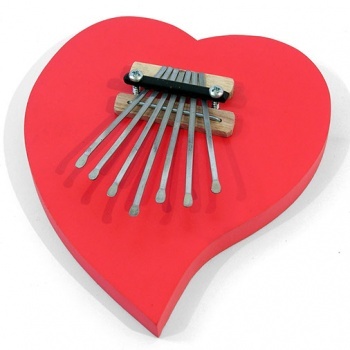 Solid wooden heart shaped base in vivid red with simple adjustable tine arrangement, the tines can be tuned by carefully loosening the screws, moving the tines and re-tightening. Fun item great sound. Delivery etc. Great.